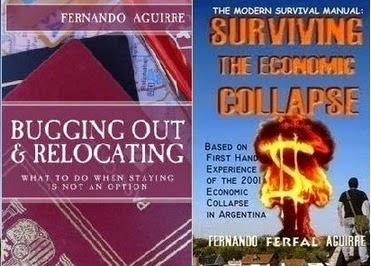 SURVIVING IN ARGENTINA: What To Do During a Terrorist Attack? I think that you don't have to think on how to survive in Argentina, because you must think as survive in the United States now with the bloody civil war living the yanquees. Following the civil war in the United States: 14 dead in mass shooting in California. Yo creo que mas que pensar en como sobrevivir en Argentina, hay que pensar como sobrevivir en los EE.UU con la guerra civil sangrienta que viven los yanquees. Sigue la guerra civil en los EE.UIU: 12 muertos en tiroteo masivo en California.